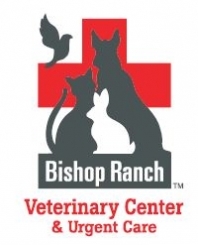 Bishop Ranch Veterinary Center & Urgent Care is the premiere veterinary hospital in the Tri-Valley and greater Bay Area communities. Located in San Ramon and established in 2000, it is one of the few human-equivalent veterinary hospitals in the area. With 15 doctors on staff and open for extended hours 7 days a week, the animal hospital provides primary care, emergency and urgent care, specialty and surgical services, acupuncture, and boarding for dogs, cats, and exotics pets. They are accredited by the American Animal Hospital Association and work to support local animal rescue groups by donating tens of thousands of dollars in veterinary care every year. They are the winner of Diablo Magazine's Best in the Bay Veterinary Hospital as well as the San Ramon and Danville Express Reader's Choice Award for Best Veterinary Hospital multiple years in a row. Bishop Ranch Veterinary Center & Urgent Care is committed to the belief that pets deserve medical care as advanced as their owner's receive, yet as personal as the friendship they provide us. For more information about Bishop Ranch Veterinary Center & Urgent Care call 925-866-8387 or visit www.webvets.com. The hospital is located at 2000 Bishop Drive, San Ramon, California.